The bass part for Mendelssohn's Symphony No. 3 in A minor, Op. 56 (nicknamed the Scottish Symphony) has been edited by Paul Ellison, in-demand double bassist, professor, presenter, and former Houston Symphony Orchestra principal bassist of 23 years. Ellison's bowings, fingerings and other editorial markings have been added throughout the score. Mendelssohn's Symphony No. 3 was completed in 1842. The Scottish Symphony was supposedly conceived from inspiration during the composer's first visit to Britain in 1829, which involved a walking tour of Scotland. The emotional scope of the work is wide, consisting of a grand first movement, a joyous and fairly brief second movement, a slow movement maintaining an apparent struggle between love and fate, and a finale that takes its components from Scottish folk dance. 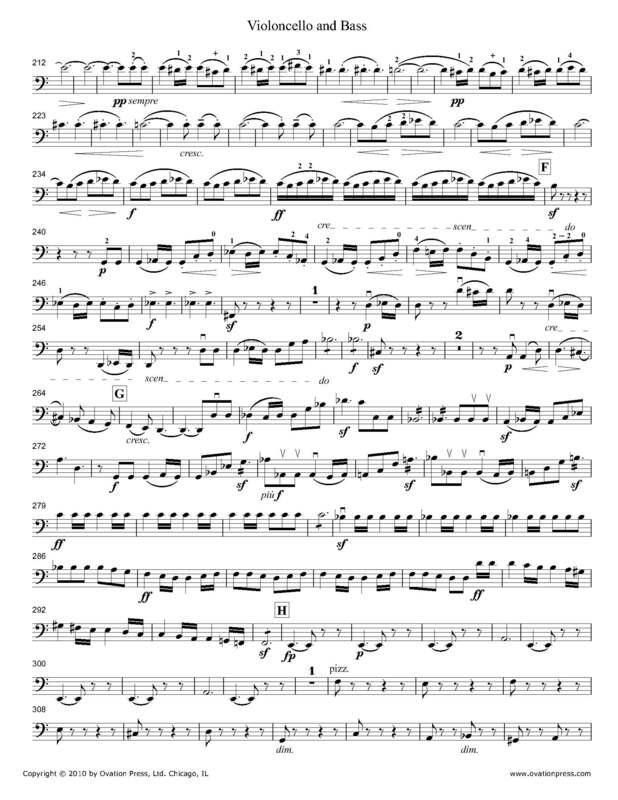 Download and print the score today to gain access to expertly edited Mendelssohn Scottish Symphony No. 3 bass fingerings and bowings from Paul Ellison!